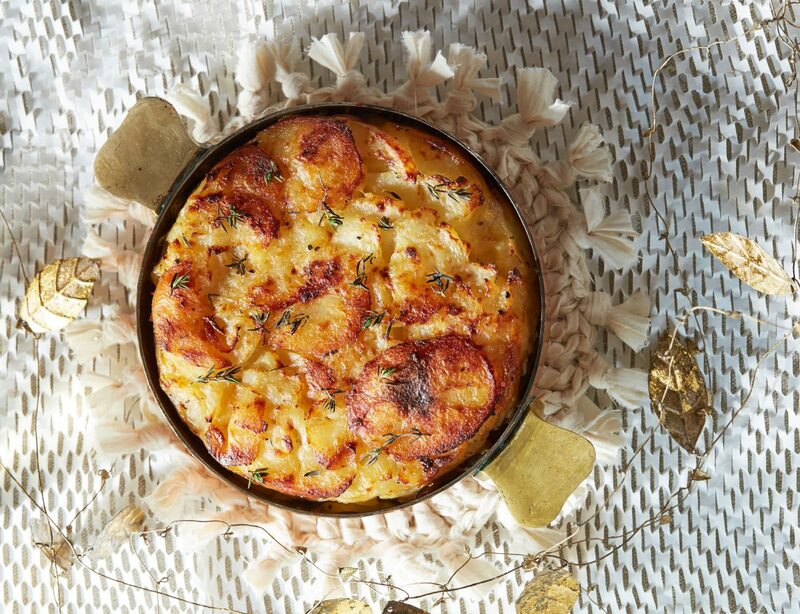 This classic french dish of sliced layered potatoes in butter and thyme couldn’t be more comforting on a cold winters night. 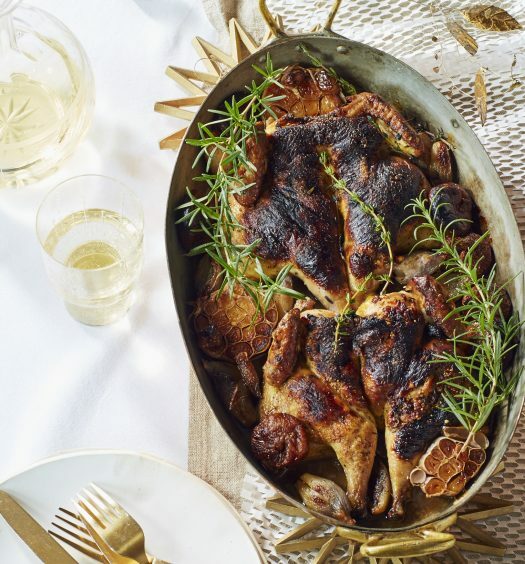 I created this recipe for the Holiday 2015 issue of Sweet Paul Magazine. Preheat oven to 450°F. Clarify the butter (Melt and let the white solids move to the top. Skim the white solids floating at the top with spoon and discard solids.It is important to use clarified butter so the potatoes don’t stick to pan.) You can also melt store-bought Ghee. 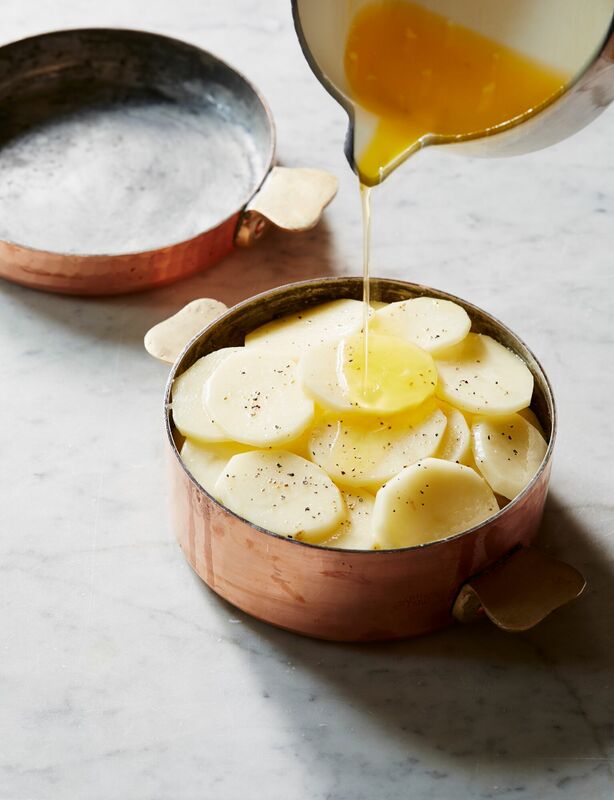 In a 6-inch cast iron skillet or a French copper charlotte mold, put in ¼ cup clarified butter, arrange potato slices around the pan, covering the bottom in to make concentric circles. Salt and pepper the potato layers, and sprinkle over a pinch of thyme. Pouring on a bit more butter or ghee, continue layering with potatoes, salt, pepper, and thyme until you have used all ingredients. 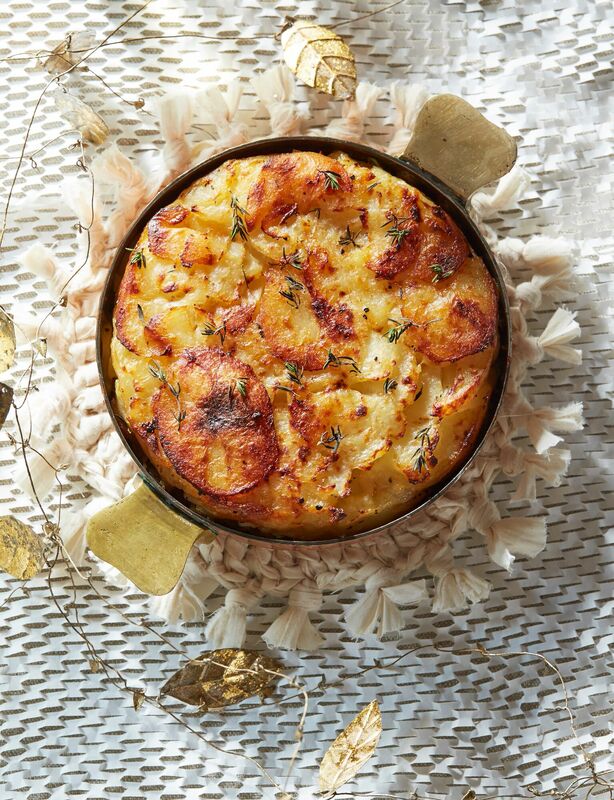 Take a smaller pan with a flat bottom and press down to form the potatoes into a cake. Place the pan with potatoes on top of a sheet pan and bake in the oven for 30 minutes. Remove from the oven and press down on the potatoes again. Return to the oven for 25 more minutes. Remove to compress the potatoes a third time. Return to oven for 5 more minutes or until nice and browned. Invert onto plate and cut into wedges.